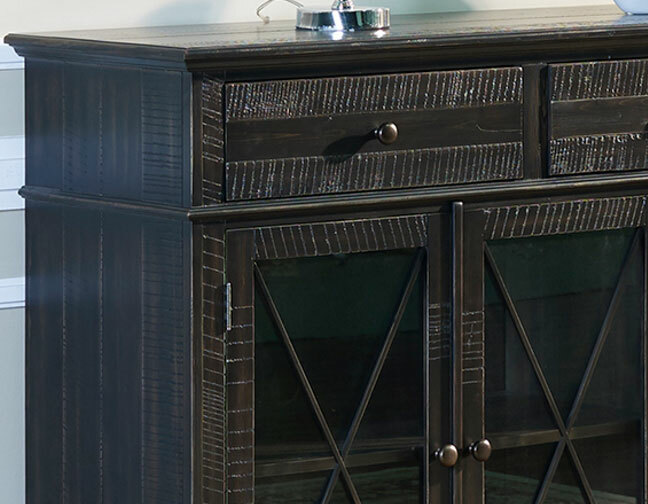 Perfect accent piece for every decor. 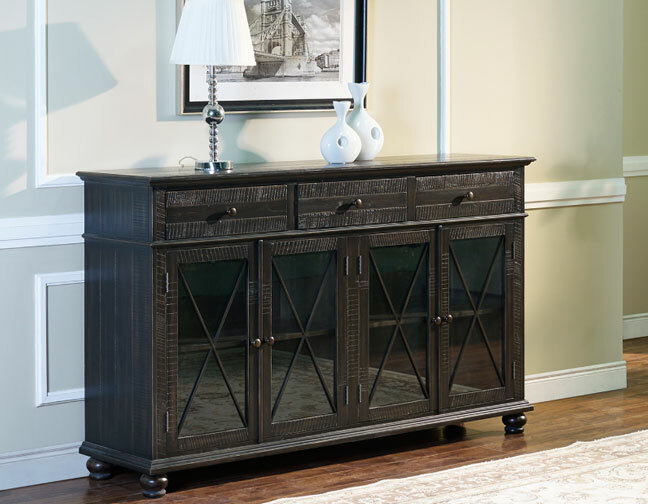 Enhance for entrance, your dining room, or living room with reclaim style credenza. Functional drawers add extra storage and glass door to show case your precious things. FL Comment: No assembly required.